According to the American Dental Association (ADA), the average American adult has three missing or badly decayed teeth. Dental bridges are a popular solution for replacing those teeth. For a traditional bridge, the natural teeth at either end are prepped and crowned, and the bridge is attached to the crowns. Although this is a solid, durable restoration, it is becoming less popular today due to the need to remove healthy tooth structure from the supporting teeth. A cantilever bridge is supported by a healthy tooth on only one end. It can be a useful restoration in some circumstances, but is not usually used on teeth that take a great deal of chewing force. Since there is only one supporting tooth, forces are not distributed, making it more likely for that tooth to fracture or shift. A Maryland bridge preserves the healthy structure of the supporting teeth, as it uses a metal structure that is cemented onto the backs of the teeth. It is not as strong as a traditional bridge, but can be highly useful in some situations. Today, implant-supported bridges are considered a better option for many restorations. 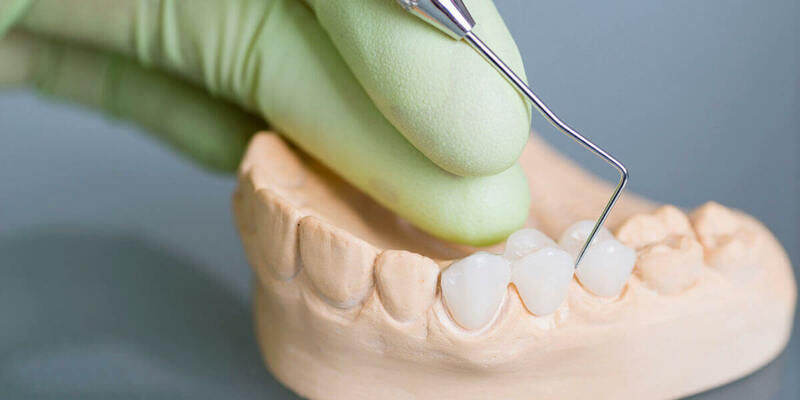 Rather than prepping the existing healthy teeth, your dentist can anchor the bridge on dental implants instead. The result is a strong, stable, long-lasting bridge that does not put your healthy teeth at risk for fracture or decay. Your dentist will help you decide which type of bridge best meets your needs.